Ninja Nanny is not your typical superhero. She doesn’t wear a cape, and she doesn’t leap tall buildings in a single bound. She can however help you escape your reality for a while with her autobiography of awesomeness. 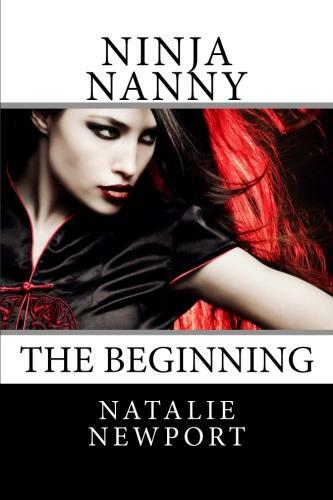 The main character, Natalie, first has to figure out if her love interest is interested back. She goes on a road trip with her best friend Sam to try to clear her head, and they have fun and everything, but it seems that the road trip only adds to her confusion about what she’s supposed to do. When she returns from the road trip, the murkiness of Natalie’s love life clears up, but then other things start to become fuzzy. She starts a new nanny job and begins to have visions (or visitations) and her cat starts speaking to her. So now she thinks she might be going bonkers. Good thing she has her martial arts training to help release the tension. But then her trainer informs her that she has superpowers, and she starts to realize her true destiny. After this, her life is forever changed. This story is about “coming into one’s own,” and as the author of this book and the upcoming sequel, I hope to encourage young women to be strong and rely on their own inner superheroes to be able to solve their own problems.